Carl Hodges is the Founding Director of the University of Arizona’s Environmental Research Laboratory (ERL), which developed non-traditional food production systems for controlled or unique environments, and projects addressing environmental issues. ERL helped design The Land Pavilion at Walt Disney World’s EPCOT Center in Orlando, Florida, and was one of the principal consultants on Biosphere 2, a $150,000,000 totally-closed ecological research complex. 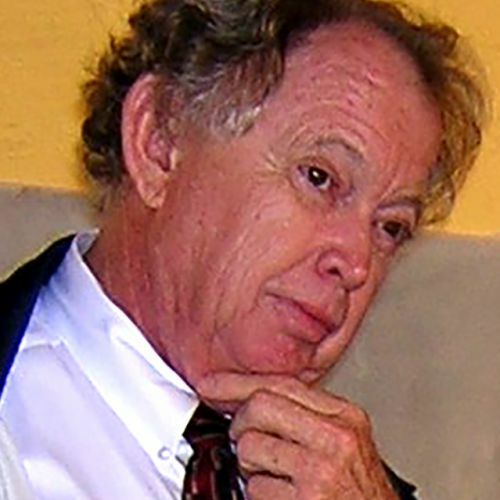 He serves as Chairman of Global Seawater, Inc., a company focusing on the commercialization of technologies of ERL and other environmentally-sound investment opportunities, through which he directed scientists and technicians from seven countries in building a 1,000-hectare integrated seawater farm at Massawa, Eritrea. Hodges is also Chairman of The Seawater Foundation, a 501(c)(3) dedicated to ecologically friendly development of the world’s desert seacoasts using seawater, photosynthesis and human intelligence to generate wealth, green the earth and contribute to the elimination of atmospheric carbon. The Seawater Foundation is presently working with the Government of Mexico to divert shrimp farm effluent wastewater inland for irrigation of mangrove forests, and farming of a seawater crop that can be used to produce environmentally beneficial biofuels.